Ted VanCleave had an ominous introduction to the game of golf. At the age of 15, he had never touched a club. But his father insisted on the two enjoying a round at the local country club in rural Indiana, where he recently had become a member. 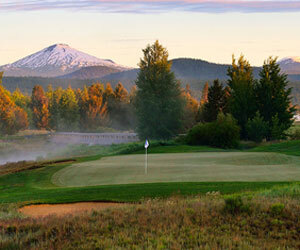 Sunriver Resort's $79 Unlimited Crosswater Golf Package includes unlimited play on Meadows, Woodlands or Caldera Links, along with one round at the famed Crosswater Club per day during your stay.